Laura Frank is the Director of Engineering at Codeship. She loves containers, Docker, Golang, Ruby, distributed computing and hummus, but not necessarily in that order. So you’re attending DockerCon for the first time. No need to panic — DockerCon alum Laura Frank, senior engineer at Codeship, will walk you through a few key do’s and don’ts to ensure your first DockerCon is a roaring success. So the schedule is packed. How do I choose what talks to see? DockerCon is a huge conference with lots of different talks happening simultaneously, so definitely make sure to check out the agenda ahead of time and do a bit of planning. Depending on your goals at the conference, different talks will be better for you to see. For example, do you want to understand things on a deep technical level, or are you interested in ecosystem integration? Talks are grouped into tracks that focus on a specific theme, so use those to guide you. Don’t forget to download the schedule as well; there’s even a handy mobile version. I’m new to Docker. How do I get up to speed fast once I’m there? If you weren’t lucky enough to grab a spot at the sold-out workshops, you might still want to check out the training sessions that happen on the Wednesday following the conference. And don’t worry — there are lots of talks that are suited for a beginner audience. What if I’m ready to go more in-depth with Docker? Check out the Black Belt and Docker tracks for talks that are focused more on the tech behind Docker. I know the conference drill. What’s unique about being at DockerCon? DockerCon is unique because the entire event is centered around community and collaboration. Everyone you meet will be interested in tons of interesting tech, and the atmosphere is a great combination of innovation and inspiration. I always leave DockerCon with a list of 18 things I want to hack on when I get home. You’ll walk away with lots of practical advice and knowledge to apply to the applications you work on at your company, but the heart of Docker is still a bunch of people getting together to solve problems in really imaginative ways. Without that spirit, the Docker project wouldn’t exist. Aside from that, DockerCon is committed to being a productive, positive space for all attendees, regardless of their background, so DockerCon attendees are generally pretty open and welcoming to beginners. We all operate under the assumption that you’re smart, but that you simply aren’t familiar with the technology yet. Just be aware of the context where you’re asking questions and try to seek out talks and workshops geared toward beginners if you’re a total Docker newbie. Additionally, there’s a code of conduct that all attendees agree to by attending the event. If you see someone violating the Code of Conduct, you can notify anyone on the DockerCon staff. I want to use my time wisely. What networking opportunities should I take advantage of? Any time where all attendees are in the same place — before and after the general sessions, during breaks in the expo hall, happy hour, etc — are awesome times to get to know new people. But the best time to get to know people with common interests is right before a talk starts. There’s a reason you’re in the same room together, right? Say hi to the person next to you and find out what kinds of things they work on. Don’t forget to grab a Twitter handle or business card, too. Also, definitely eat lunch at the conference. Lunch is a great time to chat with new people since seating is shared (unless your crew fills a whole table!). The food’s pretty good, and there will be lots of time left to check out all the vendors in the expo hall. How do I meet the speaker/contributor/Busy Person I want to? It might seem intimidating to approach a Busy Person, since there’s so much going on at DockerCon and people are always on the move. But I promise that “Docker Famous” people are really nice! If you’re interested in getting to meet some of the Docker maintainers, there’s a great session, aptly called Meet the Maintainers, on Monday afternoon. Most speakers will hang around after their talks, and the expo hall is a great place to bump into someone. There’s also a special Birds of a Feather session to meet a few of the Docker Captains. But have realistic expectations and acknowledge that there are lots of people vying for time with the same group of people. Stay out late networking or be at breakfast at 8am — which is better? It really depends what you’re trying to get out of the event. Conferences are kind of like a bubble, where you do the same activities with the same group of people. Definitely wake up early enough to attend the general sessions in the morning, because those are where all the cool Docker news will be unveiled. But above all, take care of yourself and get enough sleep. DockerCon is action-packed and can be really exhausting! I don’t drink. Should I even bother attending the conference party? Definitely! There are tons of other types of drinks, awesome food, and some amazing activities. The DockerCon EU party was in a maritime museum, so you could check out the exhibits as well as network and nerd out with fellow attendees. This year’s party won’t disappoint, and there’s even monorail service to get you to and from the event. Any tips for flying solo? Being at a conference alone can be kind of a drag at first, especially if it’s a conference you’ve never been to before. I’d recommend participating in the events organized by the conference, especially those after the talks end (there’s a party on Sunday night, for example). Chances are you’ll end up with some new friends by the end of the first day anyway. And if groups aren’t really your thing, Seattle is a gorgeous city, and we’ll be there at a perfect time of year. Use conference downtime to check out the sights and maybe throw around a fish or two. If you make it down to Pike Place market, definitely get a snack from Piroshky Piroshky. Is it valuable to attend DockerCon year after year? This is my third DockerCon (I missed the first one for a family vacation, but I was there in spirit!). I come back year after year because Docker is evolving, and there’s always so much to learn. At DockerCon last year, there was a lot of focus on the viability of Docker in production with real-life workloads. By now, we’ve crossed that hurdle, so expect to see a lot more about how Docker can be an end-to-end solution for your company. And if you’re like me and want to spend most of your time in technical deep-dive talks, there’s going to be a lot of black belt tech at this year’s conference. Expect a lot of exciting announcements, too. The Codeship crew will be at DockerCon, proudly sponsoring the event. Come say hi to us at the booth or find a Codeshipper between talks. 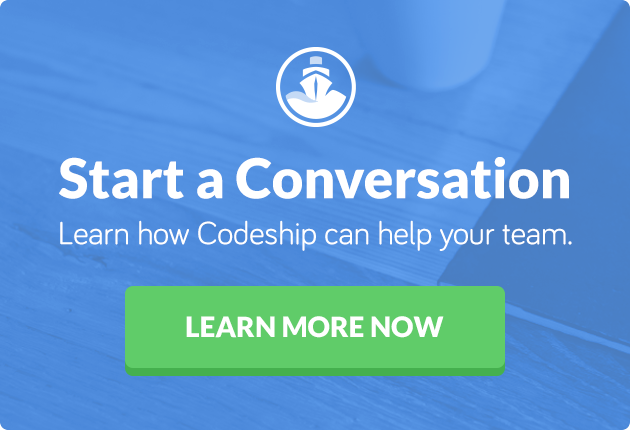 If you want to learn more about Codeship’s Docker support while at DockerCon, you can set aside a time to talk to one of our engineers. MEET US AT DOCKERCON: Come join us at our booth S13 at DockerCon in Seattle this June! 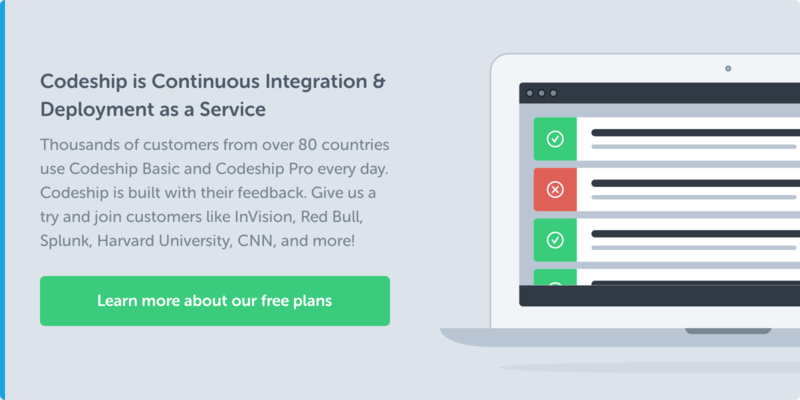 You can also sign up for a free demo slot at our booth where we’ll show you how to work with our new CI Platform for Docker: Codeship Jet.